Time. Time as a mother is a strange thing. The days are short and the nights are long but one thing you can always guarantee is that you never have enough of it, and if you are anything like me you will be running late for almost everything when you lose track of it! I’m often guilty of shoving my phone into my back pocket and using it to check on the time. This often means that my phone falls out onto the pavement when I am rushing and it’s definitely fallen down the loo a few times before. Now that I’m a real grown up (and a mum) I decided I should get myself watch. You know those things that you strap to your wrist? 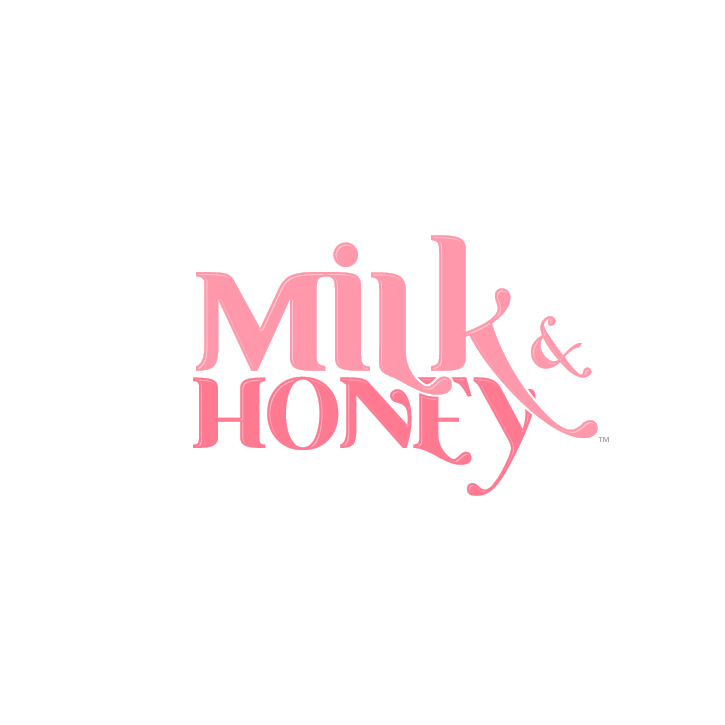 They conveniently stay in one place all day long and help you keep on time for things? 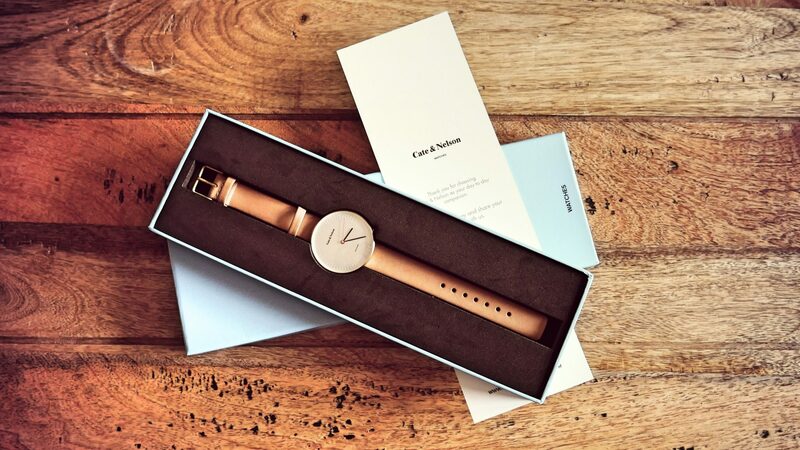 I was lucky enough to be sent a beautiful watch by Cate & Nelson last week and now I’ve got it there will be no going back! 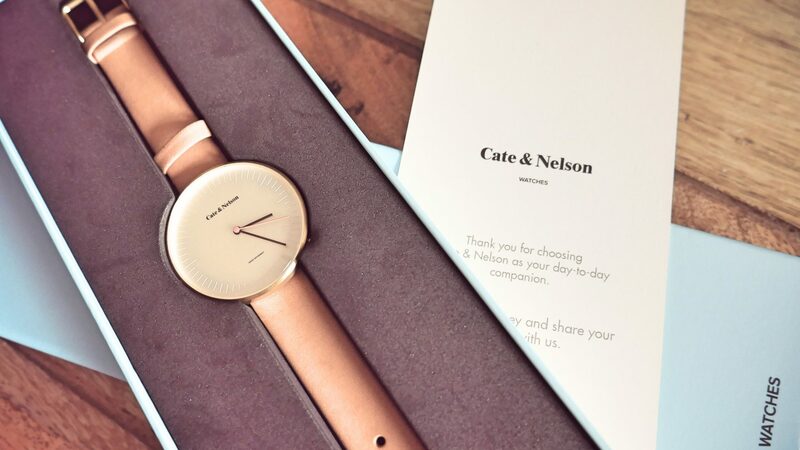 Cate & Nelson Watches are unisex, inspired by the iconic clock in the Stockholm metro system. In a similar fashion, Cate & Nelson Watches reflect the sobriety and honesty of Scandinavian design, with nothing else but the most important details needed to be a fully functional tool. As soon as I opened the box I was thrilled with my watch. It’s sleek and elegant and will definitely compliment my autumn wardrobe. Most importantly for me it’s simple and doesn’t have fussy catches or clips. It catches my eye but doesn’t catch my CHILDRENS eye and that is a win in itself. How many times have you worn a watch that your child has been obsessed with getting off your wrist? They are just drawn to them. The face of the watch is large yet simple making it easy to tell the time but really in line with the trends this autumn. 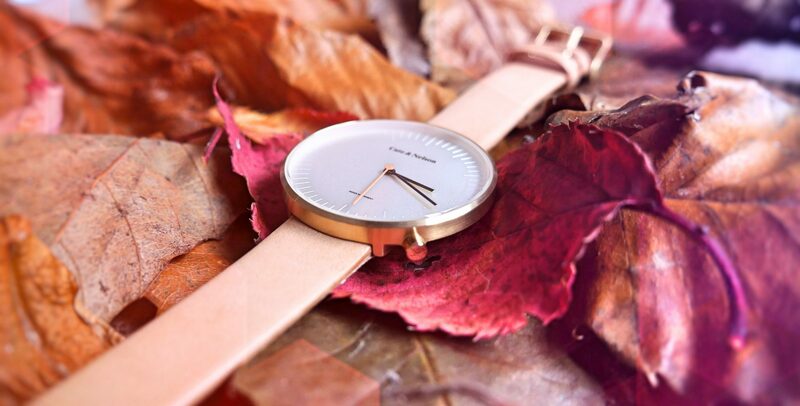 The strap is made out of organic leather from Sweden and it’s rain resistent which is perfect as we move into winter. 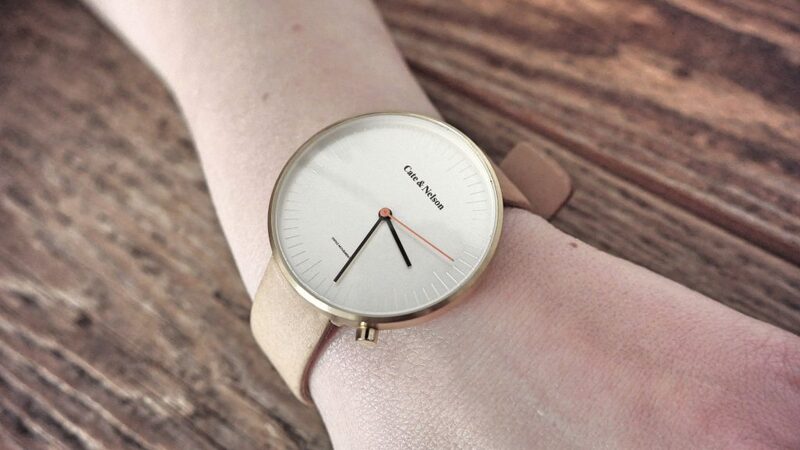 I can wear this watch where ever I go and whatever I do. Whether that be a soft play, a play gym or a walk in the woods. I can wear it when I’m changing nappies or doing the housework. Lets not forget that it would look beautiful with a nice glass on wine in my hand. Sometimes as a mum you just want to feel special. It can be easy to feel like you are losing your identity and making time for fashion can often be the last thing on your mind. This watch made me feel special as soon as I put it on and that is a really nice feeling amidst the daily grind of motherhood. I absolutely love it and it definitely gets my stamp of approval. 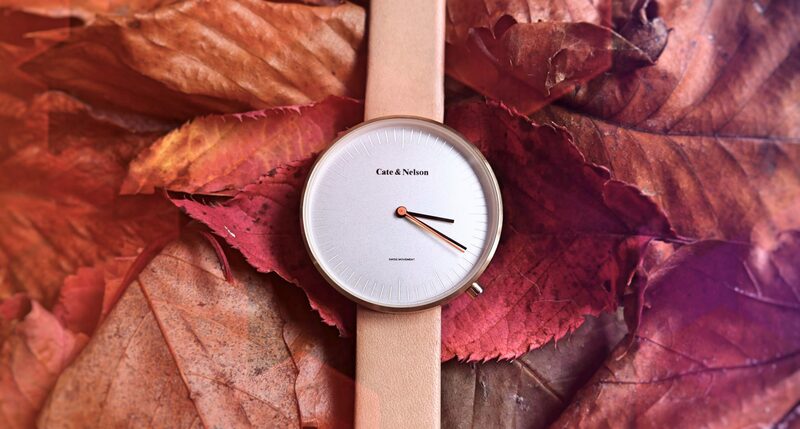 The Cate & Nelson Unisex watch retails at €159 and would be the perfect gift for a parent this Christmas! Visit www.catenelson.com now to see their full range.